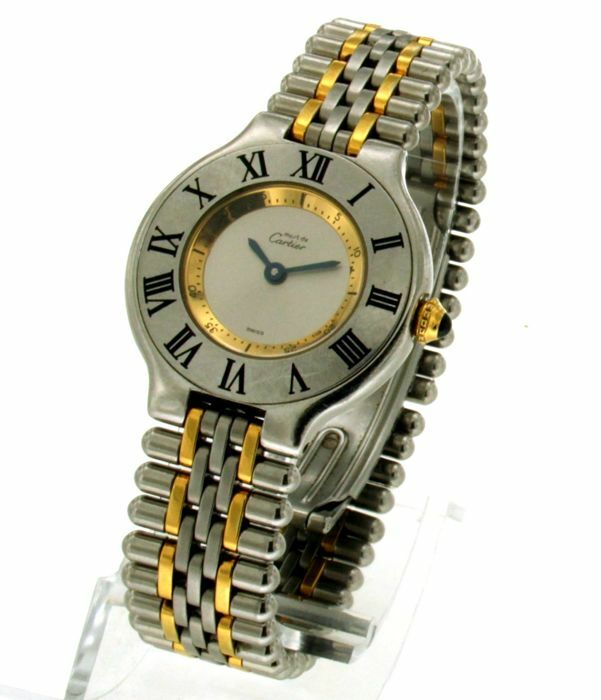 Watch case diameter: 28 mm. 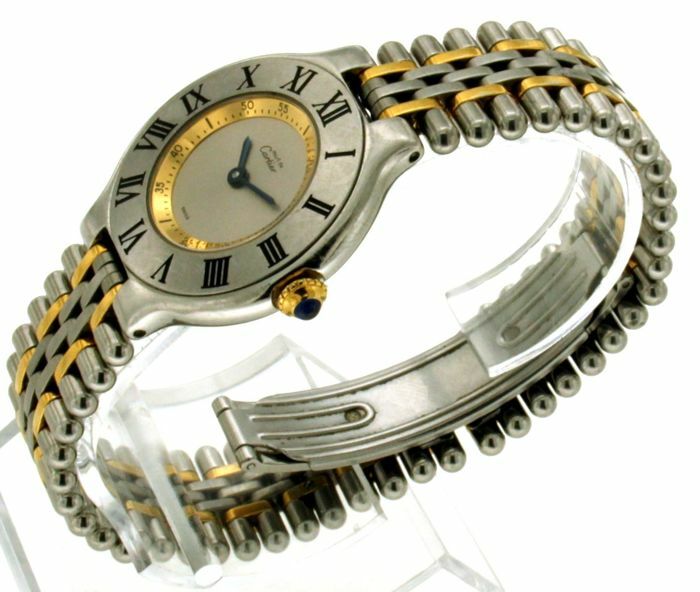 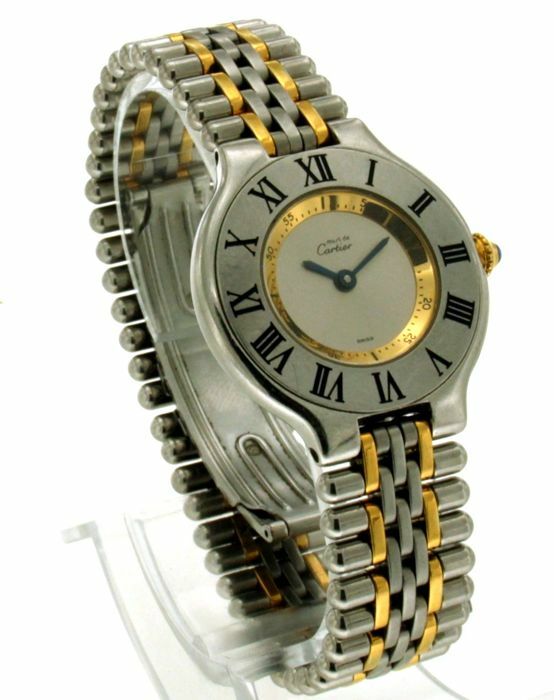 Original Cartier wrist strap and folding clasp. 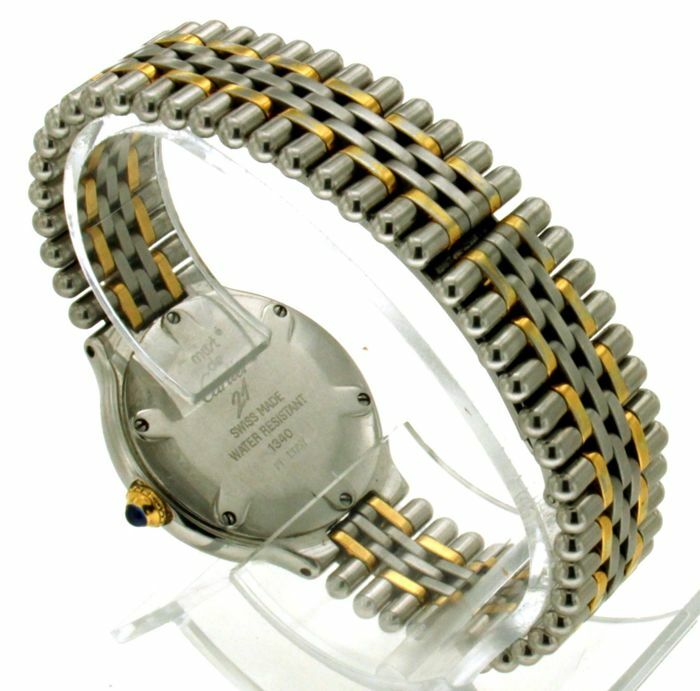 Length of wrist strap: 14 cm.